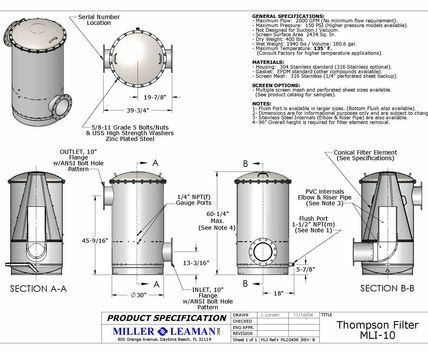 Available in Type 304 and Type 316 construction, the patented design features a large conical screen element with substantially more surface area compared to traditional screen filters and strainers on the market. You can select the screen that meets your needs. A large variety of screen options are available, ranging from large perforated hole-openings down to 200-mesh. Let our experienced customer service technicians help you optimally size the screen to protect the spray orifices/nozzles in your system. The Thompson Filter’s internal flow patterns force heavy particles down to the large reservoir at the base of the filter. The particles are then purged from the filter via the flush port, without interrupting downstream flow. 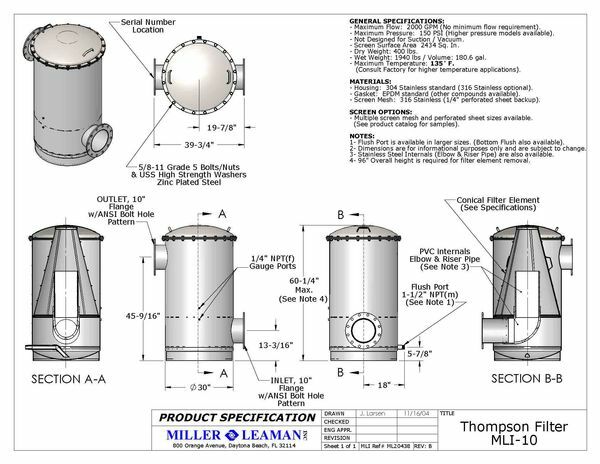 Unlike centrifugal separators, there are no minimum flow requirements for optimal performance. 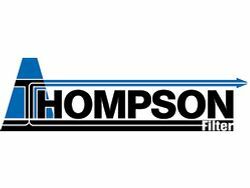 The Thompson Filter is exceptionally efficient; all models operate with less than a 1 PSI pressure loss at maximum flow, when clean. 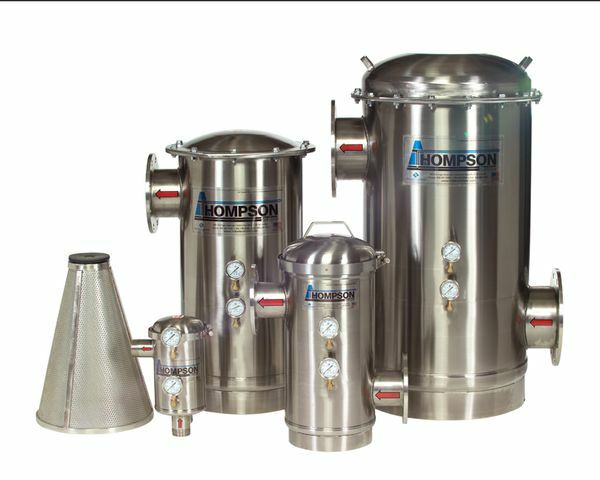 The efficiency of the Thompson Filter, due to the low pressure loss, translates into lower operating/energy costs, which results in more profit to your bottom line. 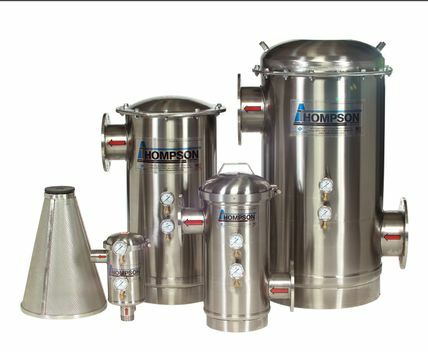 Filter housings come standard with two gauge ports, allowing maintenance personnel to monitor the differential pressure across the internal screen. At Miller-Leaman, we take pride in innovation and workmanship. Efficient, clean design. Highly polished stainless. Technically adept customer service technicians. Superior technology and made in the USA.